On Sunday, March 4th, join Portland area Orthodox faithful in the celebration of the Triumph of Orthodoxy and the restoration of veneration of holy icons. Remember to bring an icon for procession. 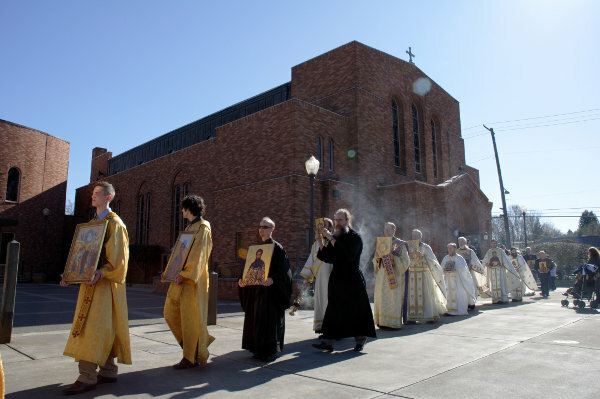 Orthros (Hours) and Divine Liturgy starting 9 a.m. at Holy Trinity Greek Orthodox Cathedral, 3131 NE Glisan St. This entry was posted in feasts and tagged Holy Trinity Cathedral, icons, Sunday of Orthodoxy. Bookmark the permalink.